Robert Frost and Jim Jarmusch took the same path. Both poet and filmmaker took each in his own field the path less traveled by. As Frost affirms in his The Road Not Taken, a choice like this can indeed make, to some extent, a difference. Take the film industry for instance. Opening a path infested with weeds like American filmmaker Jarmusch did, has had over the years an enormous influence and will be regarded for years to come as an extremely important step. Hollywood and what it represents have been regarded like evil incarnate by many – and with reason – for a long time; it’s up to independent filmmakers to make the world remember America is not only soulless huge corporations, marketing campaigns and searching for profit at all costs. America has given the world amazing filmmakers, even inside the boundaries of more commercial industry, and we definitely owe them more than something. Jarmusch will be awarded this year at the Reykjavík International Film Festival with the excellence award for his creative achievements. 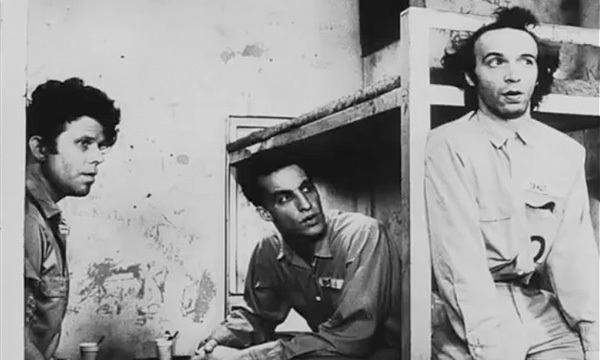 Down by law is probably one of his most loved and most famous classics. Classic, of course; or modern classic, if you prefer. Down by law is a film that is destined to go down in history together with films by other masters of cinema, and with good right. 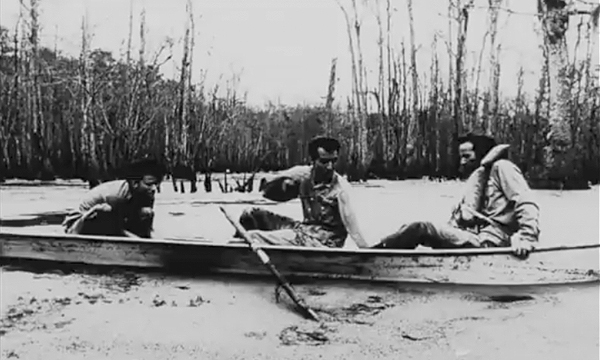 Taking place in the mysterious New Orleans and in the the Louisiana bayou, Down by law is a contemporary fable with timeless connotations. The three main characters, as it often happens in Jarmusch films, are eccentrics, though each in his own way. Jack (John Lurie) is a pimp while Zack (Tom Waits) is an out-of-work DJ. Despite their differences they share similar fate, that of being condemned for their inadequacy to catch up with the rest of the world around them. Both make a mistake and end in prison. Both are socially defective individuals living in a morally and ethically defective environment: that’s the only crime they may have committed as far as the film’s plot is concerned. We don’t know their past and we’re not lead to care about it, anyway. On the surface they’re trying to keep up with the world around them, to follow its rules, but it’s evident from the start they can’t manage to do it successfully. Roberto (Roberto Benigni), the Italian cheater who needs to resort to a self-compiled English phrase book in order to communicate with the others, is the third main character in the story. He’s different from Jack and Zack. He’s surrealistically naive compared to them, yet he’s the only one to have committed an actual crime, though in self-defense – at least according to his account. His main difference with the other two though resides in his total lack of cynicism towards life, which sort of brings him luck even in the most desperate situations. His lack of cynicism corresponds to a substantial lack of consequential motivations, so that he can come up out of the blue with sentences like “it’s a sad and beautiful world” or “I scream. You scream. We all scream. For ice cream“, succeeding in infecting with his nonsense even his not-so-playful inmates. He doesn’t come from the same environment as Jack and Zack, he comes from a mythical place, that could as well not exist at all; he talks about his family, but from his words his family members seem as unreal as he is. He’s like the Jack in the box, with his totally random remarks and absurd ideas, like the plan which allows him and his friends to escape from prison in all ease. Every fable has a hero; in Jarmusch’s fable Jack and Zack share a detritus that’s what is left of the traditional role of the hero. They build some friendship bond among themselves, but it’s sort of conflictual and dysfunctional one, perfectly fitting the kind of social impairment they probably have known all their lives because of their environment. 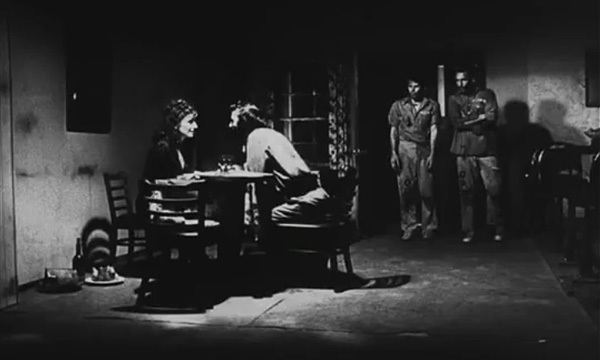 Roberto, once pairing with one and once with the other, keeps them both in the constant state of bafflement necessary to make them all stick together throughout the film. The trials – endurance, escape, survival – they have to confront are steps towards the usual happy ending, which in the film doesn’t come as easily as one might expect. When Roberto finds his own happy ending, the other two characters are forced to admit they have to face separation, each going his own path, towards a new life we are not given the chance to acknowledge. The happy ending is only for those who are ready to accept it. For the others it’s an unknown value going beyond the limitations of the allotted screen-time. The gritty and beautifully highly contrasted black and white cinematography by Robert Müller greatly contribute to the fantastic aura of the film, depriving it of too realistic connotations and granting it a peculiar sense of unspoken enigma that runs through every scene. The ambience, remembering at times the classic film noir style, silently fills gaps, even if sometimes only vaguely, together with discreet camera movements and unobtrusive but fundamental presence of background music (the original score is by John Lurie). Settings are built around long shadows and patches of light lost in the darkness of the night; the city of New Orleans with its timelessly decayed architectural elements and the labyrinthine wilderness of the bayou are both spaces that are deeply affected by the perception of the characters. The characters themselves are most of the time framed from unusual angles or evidenced with stunning use of deep focus. As it happens in other masterworks of cinema, like the very best by Orson Welles, each frame is composed with incredible attention, and each frame tells a story of said and unsaid relations inside its own boundaries. Jarmusch recounts his social tale of maladjustment with balanced bitter irony and humor, without any patronizing attitude and without forgetting about its most humane essence. Truly an impressively well-crafted review! I felt the film was drifting into a crime drama initially, but really the confines of a jail cell merely served as a hub to unite these rag-tag misfits, and from there evolves into a sort of character-driven misadventure enriched with pathos, humor, amusing quips, flexing of egos (particularily from Jack and Zack), brief moments of vulnerability, and most importantly, humanity. These characters are far from straight-laced, but it it is exactly their shortcomings that brings forth a raw depth and believability to these characters.